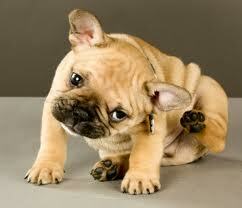 Home > MEDIA > Articles > Dog's Itchy Skin Relates to Food Allergies? Dog's food allergies account for about 10% of all the allergies seen in dogs. It is the third most common cause after flea bite allergies and atopy (inhalant allergies) Food allergies generally account for 20% of the causes of itching and scratching in dogs.Yet food is the first to be blamed whenever a dog shows any sign of an allergic reaction (like itchy skin). And that begs the question, is it truly an allergy in the first place? Food Allergy — or Food Intolerance? Food allergies and food intolerances are two completely different issues. Blood Testing: There is no evidence that blood tests are accurate for the diagnosis of food allergies. Veterinary dermatologists insist that there is no merit in these tests whatsoever in the diagnosis of food allergies. The only way to accurately diagnose food allergies is with a food trial .